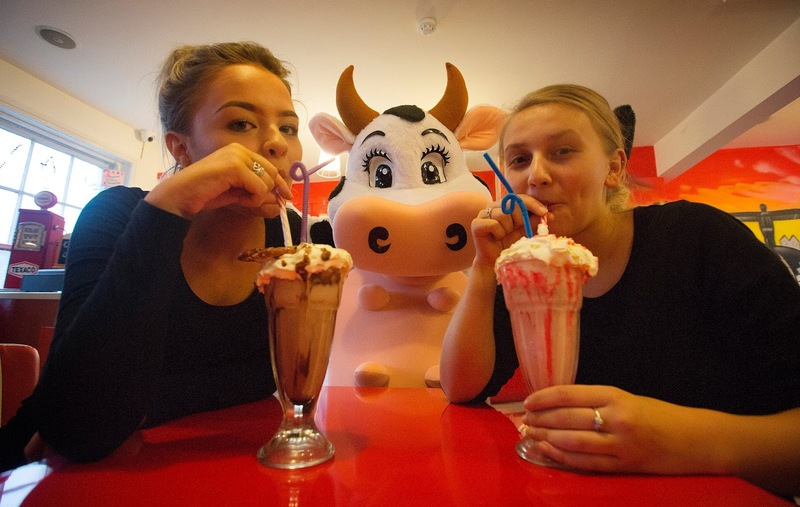 Visitors to a Durham City milkshake parlour were left in udder disbelief when their shakes and ice creams were served up by a friendly pantomime cow! 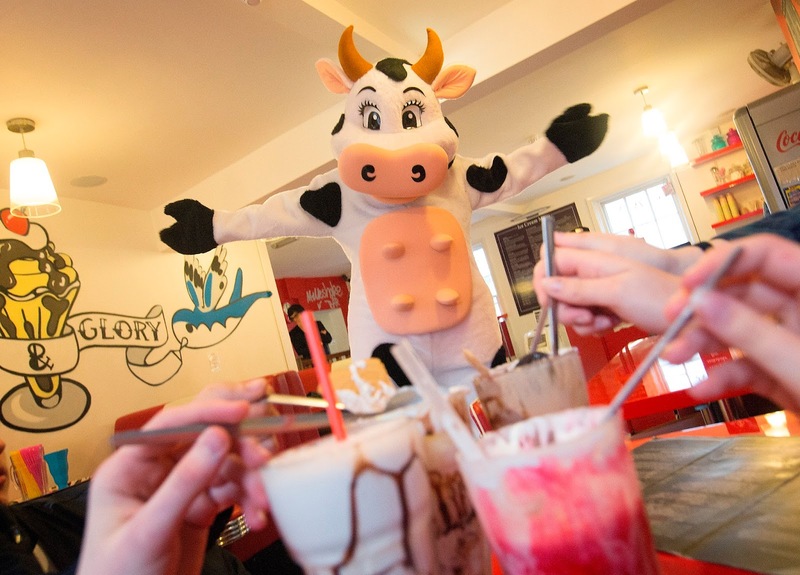 Milkshake the Cow, one of the stars of Gala Theatre’s upcoming pantomime Jack and the Beanstalk, popped into Split & Glory Ice Cream Parlour and Milkshake Bar to lend a hand. 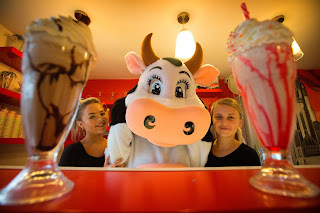 And not content with just meeting the customers, Milkshake got behind the counter to help serve up too! 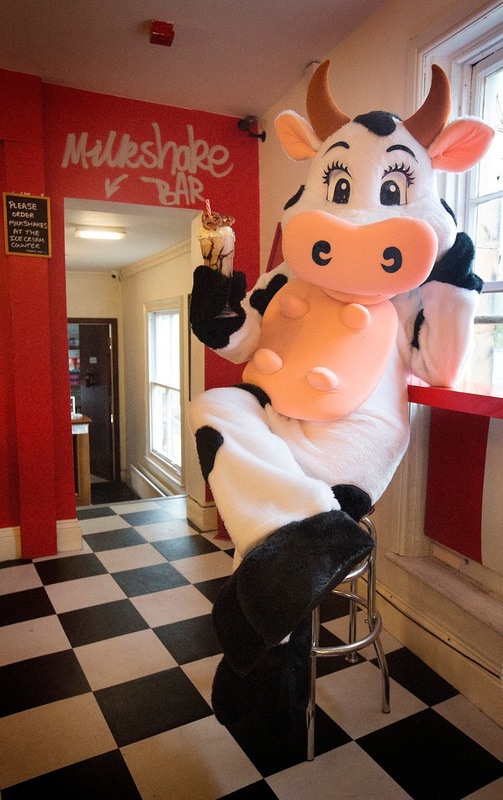 But Milkshake will be back to the day job on the Gala Theatre stage when Jack and the Beanstalk opens on Thursday 24 November and runs until Saturday 7 January. As the cow of the Trotts - Jack, Silly Simon and Dame Trott - Milkshake gets caught up in the now infamously bad trade, where he is exchanged for some ‘magic’ beans. But there ends the traditional tale and in true panto fashion, the story takes a number of twists and turns, including asking audiences to check their tickets in order to discover the fate of the friendly cow. Jack and the Beanstalk is the Gala Theatre’s fastest-selling pantomime and is on course to become the Durham City venue’s best-selling show of all time with over 28,000 tickets already sold.